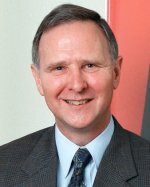 Eric Hanushek is the Paul and Jean Hanna Senior Fellow at the Hoover Institution of Stanford University. He is also chairman of the Executive Committee for the Texas Schools Project at the University of Texas at Dallas, a research associate of the National Bureau of Economic Research, and a member of the Koret Task Force on K-12 Education. He is an expert on educational policy, specializing in the economics and finance of schools. His on-going research spans a number of the most important areas of education policy including the impacts of high stakes accountability and of class size reduction and the importance of teacher quality. These analyses, combined with his work on efficiency and resource usage, relate directly to current debates about school finance adequacy and equity, especially as they have been applied in litigation. Analyses of growth and the economic impact of school outcomes provide an economic rationale for improving school quality and for promoting more efficient use of school resources. His books include Courting Failure, Handbook on the Economics of Education, The Economics of Schooling and School Quality, Making Schools Work, Improving America's Schools, Educational Performance of the Poor, Education and Race, Assessing Knowledge of Retirement Behavior, Modern Political Economy, Improving Information for Social Policy Decisions, and Statistical Methods for Social Scientists. In addition, he has published numerous articles in professional journals. He previously held academic appointments at the University of Rochester, Yale University, and the U.S. Air Force Academy. Government service includes posts as the Deputy Director of the Congressional Budget Office, Senior Staff Economist for the Council of Economic Advisers, and Senior Economist for the Cost of Living Council. He is a member of the National Academy of Education and an elected fellow of the International Academy of Education and of the Society of Labor Economists. He was awarded the Fordham Prize for Distinguished Scholarship in 2004. He is a Distinguished Graduate of the United States Air Force Academy, where he earned his Bachelor of Science Degree. He completed his Ph.D. in Economics at the Massachusetts Institute of Technology. He served in the U.S. Air Force from 1965-1974.